Dr. Chen is a Senior Portfolio Manager and lead ML researcher at PanAgora. In this role he is responsible for novel ML alpha research and model development in the Dynamic team and across the wider Equity group, and daily management of firm’s Dynamic portfolios. 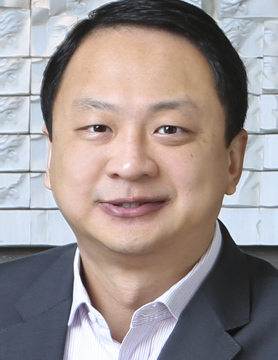 Dr. Chen is also responsible for leading the development of PanAgora’s ESG strategy, including alpha research, portfolio management, and model and product development. Dr. Chen’s research interests are in the areas of machine learning, ESG, and alternative datasets. In this capacity, Dr. Chen developed a novel ESG portfolio construction framework for which patent has been filed. Previously, he was a portfolio manager at PanAgora’s Stock Selector team. Prior to joining PanAgora, Dr. Chen was a Portfolio Manager at BlackRock’s Scientific Active Equity (SAE) team, where his responsibilities include portfolio management and research into alpha insights for use across the entire SAE platform. While at SAE, Dr. Chen won “Signal of the Year” award for an alternative data signal he researched and developed. Prior to BlackRock, Dr. Chen worked at Google where he was a member of the team that managed Google’s fixed income investment portfolio. Dr. Chen started his career at Morgan Stanley in New York where he traded exotic US rates derivatives. While at Morgan Stanley, Dr. Chen researched, developed and patented a framework that allowed for pricing of derivatives based on two rate curves with dynamic multiplicative spread, one of the first such models on the street. Dr. Chen graduated from the University of Illinois in 2005 with a Ph.D. in Electrical and Computer Engineering, and has 14 years of financial industry experience. He has published in leading engineering and applied mathematics journals, and had been invited to talk at numerous academic and industry conferences.